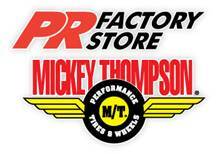 This year, Mickey Thompson has teamed up with Don Plesser and the PR Factory Store to create an exciting new program called the Six-Second Bounty. 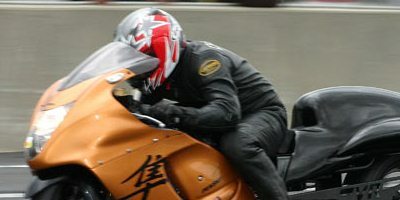 Through this special program, scheduled to begin April 8, 2011 at the Manufacturers Spring Cup event, the first racer who achieves a six-second run in either the official qualifying or elimination rounds will earn the six-second bounty. The program is simple. All racers participating in the Manufacturers Cup Series and MIROCK Superbike Series races using Mickey Thompson tires and displaying the Mickey Thompson logo are eligible. The first racer to achieve a six-second time in the qualifying or elimination rounds will earn a $3,000 cash award, 10 Mickey Thompson MCR2 drag tires, and a special commemorative Mickey Thompson jacket. Following that event, the next eligible competition will be the upcoming MIROCK Superbike Series Spring Nationals beginning April 30.